We are offering a comprehensive range of Battery Chargers to respectable clients. These battery chargers offered by us are known for their high-frequency technology, compact design, and low maintenance. In addition to this, the offered range is applicable in different areas such as hospitality, telecoms, commercial and unmanned station sectors. This range is also acknowledged in the market for its soft start, phase prevents, current control automatic charge, manual charge with programmable timers and manual timers. Owing to the immense experience and a competent team of experts, we are able to offer Generator Battery Chargers to respectable clients. Moreover, the offered range is acknowledged in the market for its low maintenance and high performance. Battery reverse protection with Auto recovery, Short circuit & Overload Protection. 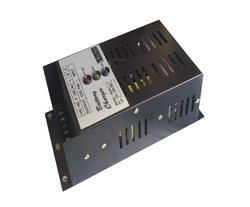 The Exclusive features of battery charger in this range is tested for 7 kV Surge & it can withstand 440 V AC. Voltage Tolerance < 1% Of Rated Voltage. Environment Working Temp. -5DegC to 50DegC. Our firm delivers precisely tested and a high-grade assortment of SMPS Based Battery Charger. It is manufactured using top quality materials and latest technology and tested under various quality parameters. We are a prominent organization, which is engaged in offering Industrial Battery Chargers. 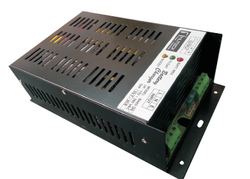 The offered range of Industrial Battery Chargers is known for operating under voltage deviations. These chargers are portable in nature. These Industrial Battery Chargers are appreciated for their high tolerance to extremities. In addition to this, the offered range is acclaimed for its compact size lending portability. Looking for Battery Chargers ?